Good things come to those who wait, so the saying goes. But try telling that to Opera Queensland as the proverbial sword of Damocles, wielded by Helen Nugent and her colleagues on the national opera review panel, hangs above its Australian major performing arts group (AMPAG) status. After waiting more than two years for the arts ministry-ordered review to issue its assessment of Australia’s major opera presenters, the conclusions published in the overdue report this week were broad and bold, if not all that surprising. The powers that be at Opera Queensland have been given three years to turn around their ailing finances and prove the company worthy of its much-coveted AMPAG status, which affords protections against cuts to arts funding, among other benefits. While being singled out as the country’s least financially viable opera company will smart for Opera Q’s general manager, Russell Mitchell, and his team, this three-year reprieve will be seen by the 62 arts organisations defunded by the Australia Council in May as an unjustifiable concession. Why should a flailing company be bailed out while so many artists have been left barely keeping their heads above water? Among the most headline-worthy points in the national opera review report, it was advised that Opera Australia be barred from spending government dollars on the musical theatre productions which have become a prominent, lucrative and, for some purists, highly contentious feature in its seasons. Government funding should also be more strategically assigned, the report insists, with financial penalties dished out to companies for failing to deliver pre-agreed targets. There are 118 recommendations in total, but if one were to generalise the report’s detailed findings it reveals an opera sector that is untenable as it is currently operated. The calls to action are commendably thorough and largely shrewd, but crucially they squarely point a finger of blame for the unsustainability of the art form at the artistic planners of the nation’s heavyweight opera companies. Tired and predictable programming, a lack of collaboration, an apparent inability to react to sales and attendance data, and failures to champion home-grown artists are all cited as issues of critical importance to the art form’s longevity in Australia. Free events, such as OA’s Opera in the Domain, WAO’s Opera in the Park, and while not specifically identified, presumably also Opera Australia’s television opera, The Divorce, do not apparently translate to mainstage ticket sales and companies should therefore “reflect thoughtfully” before committing funds to producing these types of events. 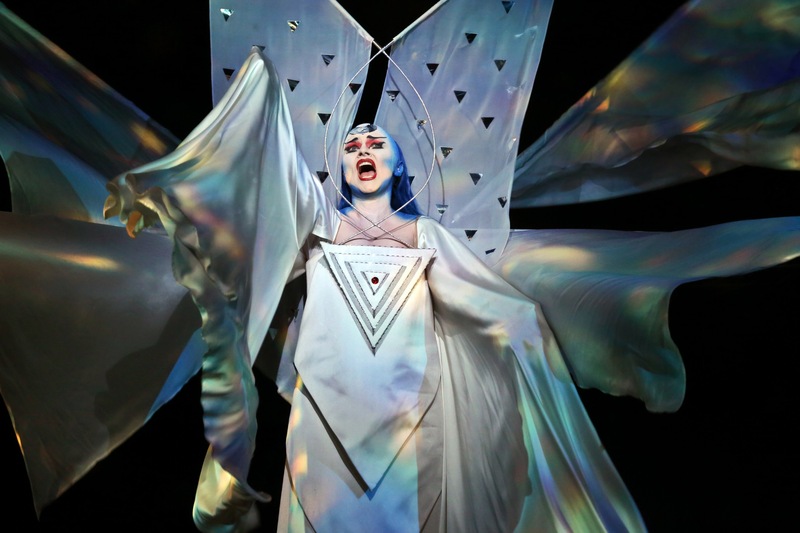 The report even dissects the ways in which opera is marketed in Australia. It recommends a greater emphasis on promoting the artists starring in productions, rather than composers or the operas themselves, to build “stronger emotional connections” with prospective audience members. A traditional reliance on expensive printed marketing materials, like glossy season brochures, should also be scrapped in favour of digital solutions. The national opera review was ordered by the former arts minister, George Brandis, who is a well-known devotee of the opera. It may not be the conclusion he had in mind when the report was commissioned, but what this survey seems to uncover (albeit with diplomatic eloquence) is that the artistic leadership behind our major opera companies is out of touch with the realities of the arts – and its consumers – in present-day Australia. This will no doubt be a bitter pill to swallow for the artistic directors of the four companies in question – Opera Australia, Opera Queensland, State Opera of South Australia and West Australia Opera – but it won’t be much of a surprise to those who have been keeping score of the major presenters’ programming choices in recent years. Criticism of Opera Australia’s artistic director, Lyndon Terracini, and his selections in past seasons riled the outspoken opera boss to the point of revoking press comps for two prominent arts journalists – Diana Simmonds and Harriet Cunningham – in January 2015, although the ill-advised ticket embargo didn’t stick for long. A few months earlier, in September 2014, Terracini engaged in a very public war of words with Peter Tregear, the former head of the school of music at the Australian National University, via a series of articles published by the Australian and the Australian Book Review. The pair clashed over Terracini’s insistence that the shrinking profits of opera companies were unrelated to narrow programming choices, and merely a consequence of rising overheads. Terracini was adamant that few works composed in the past 75 years had gained enough public affection to warrant programming; Tregear countered by accusing Terracini of failing to meet his responsibility, as a steward of the art form, to contribute new works and productions to the canon. It seems that the national opera review, “enthusiastically” welcomed by Terracini in a statement released on Tuesday, has vindicated Tregear’s assessment. So, what is to be done about opera in Australia? The answer – and by far the most controversial aspect of the report – is heavy investment. The report recommends more than $24m over four years be spent stabilising the already heavily subsidised sector, including establishing an “innovation fund” to support the creation of new Australian works and increased employment opportunities for homegrown talent, particularly in leading roles. While there’s no denying that the dismal balance sheets of Australian grand opera are in desperate need of this cash injection, this conclusion is problematic, particularly given that the national opera review was established at least in part to assess if the government’s standing annual investment of $32m on opera was money well spent. There will also be many frustrated artists in other fields across the country questioning why yet more government money should be siphoned into opera’s already well-fed coffers, particularly when many arts organisations have been forced to close in recent months for the want of just a few thousand dollars. There is one important silver lining to the review’s grey clouds, however. Victorian Opera – a company that has never received federal funding – is identified as a candidate to join the elite roster of AMPAG organisations. This is very worthy recognition of this company’s tenacity, its financial resourcefulness and its innovations in programming, new technology (including 3D video projection) and the development of new operas. The careful stewardship of this company, by its founding director, Richard Gill, and its current AD Richard Mills, has proved that insightful curation of opera can attract new audiences, push boundaries and champion Australian artists while being commercially successful. Given that many of the report’s recommendations closely tally with the philosophies and infrastructures already in use by VO, the rest of Australia’s opera sector would be wise to take its lead. First published 27 October 2016, for The Guardian Australia.